Manufactured in Italy, the Unico Different Developer assures the stability of the volumes and absolute invariability of the colours pH. 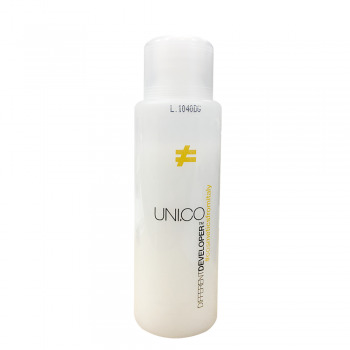 Being an emulsion, it protects the hair during the colour and bleaching operations. 40 vol for strong bleaching action (12%).